I decided to try my hand at a swing card. I keep seeing them pop up, but they seem to all be made with a cricuit and a particular cartridge with I suppose a "Swing" option. I've got just my cuttlebug here in Maryland so I made do. I cut an A2 cardbase, scored the top and bottom of the front panel in the middle just about an inch up on both sides. I connected those score marks with a pencil, then placed my die so that half of it would cut, the half towards the open side of the card front. 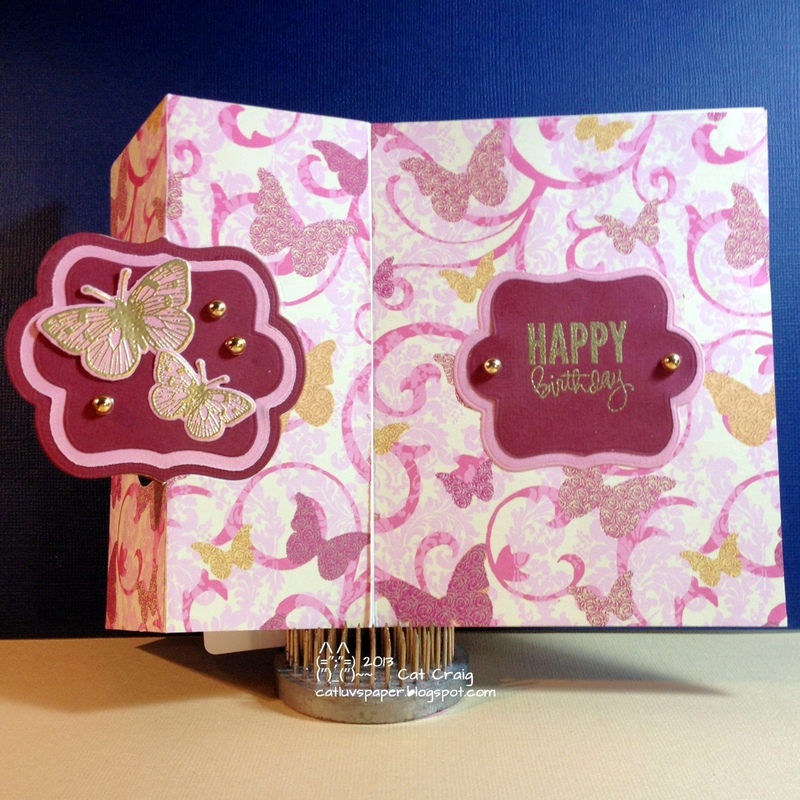 Then I cut some layers to match the swing opening cut, stamped some butterflies and embossed them in gold. Some gold balls (and they actually shine in the pic!) I added a sentiment to the inside also in gold. I layered patterned paper over my card base. If I do this again...that step will have to come first. This card is going to my card-making swap friend in California. Papers were freebies from a magazine, embossing power is Hero Arts, Dies are Lifestyle crafts, sentiment is Simon Says Stamp, butterfly image an dies are Hero Arts. Thanks for stopping by. Yep, I am trying to be punny...My best scrappy friend is having a birthday and we will get together for a scrap fest when I go back to California later this summer; I could not let her birthday pass without a card. 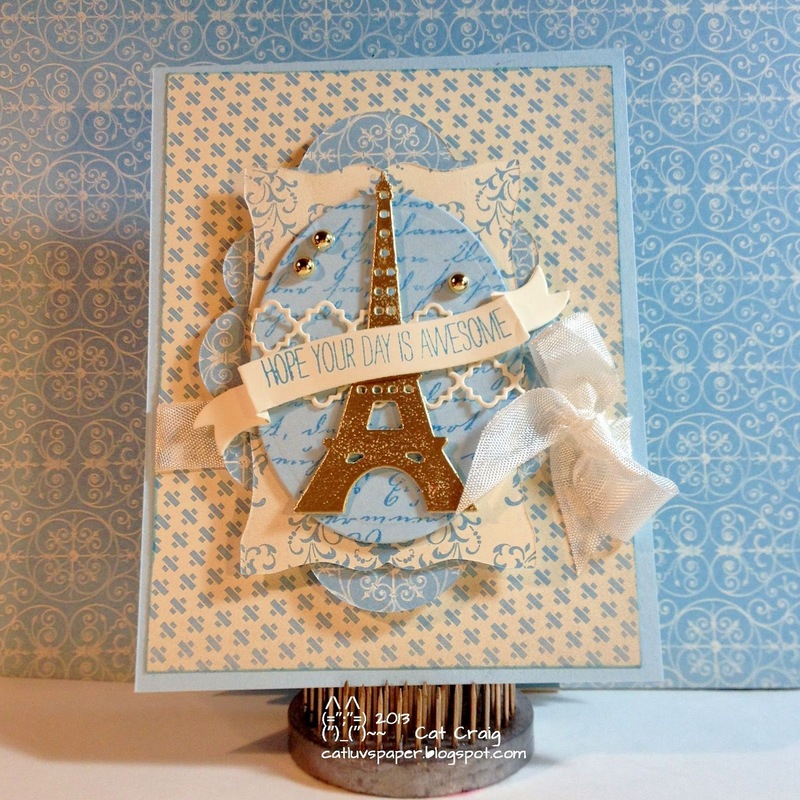 She loves PARIS, so I picked up a cute Eiffel Tower die from My Favorite Things (She'll be seeing this thing over and over and over again!) She also is fond of blues and creams. I picked up some pretty papers from Stampin Up in the clearance section and they were perfect for this card. 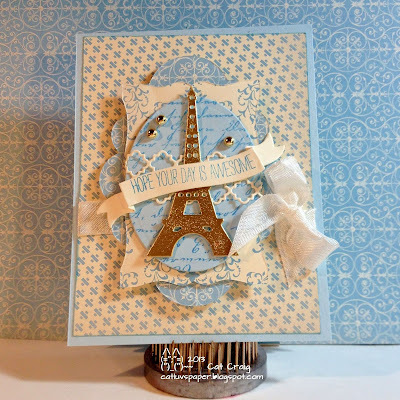 I used dies from Lifestyle Crafts, Memory Box, Simon Says Stamp and Spellbinders; seam binding from Snug Hug; Brilliance Pearlescent Sky Blue Ink; some gold balls; and Hero Arts Gold Embossing powder for the tower. Stamps I used include Hero Arts Old Letter writing, and Many birthday messages (inside), and Simon Says Stamp Tilted banner sayings. I am so happy with the way this card came together. I had to stuff it quickly into an envelope and send it on its way. I may have grown attached to it otherwise. Happy Happy Birthday my dear friend! I am entering this into the Moxie Fab World's Tuesday Trigger. For me romance is Paris spent some time there when I was 21. I also love those soft blues under the lace. Today our homework challenge was to use holiday stamps for a non-holiday card staying within the color combo for the week. I have just a few Christmas stamps here in Maryland, but I figured something out. I used memento markers for my "Arrows" and versafine ink in vintage sepia for my sentiment. Some twine and a button and its done. 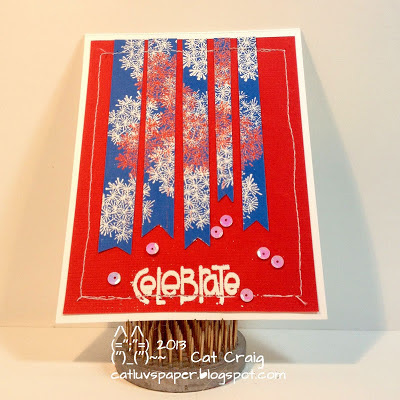 I used this stamp from Hero Arts CL461-Wishes Come True. I finally got around to doing some homework this week. I anxiously awaited Monday's reveal of colors and sketches and I saw great sketches and brown, greens, blue and cream. Not my favorite set of colors. Hubs would love it, but me I am more into the reds, yellows, and pinks. Naturally I put off making cards until today. Once I started with the cards, I was really enjoying the colors...so just jump in you might surprise yourself. Week2 Day 1 - This day was about the sketches. I decided to follow Kristina Werner's Circle card. I switched up the colors a little but stuck with cream, brown, green, lighter green and aqua. 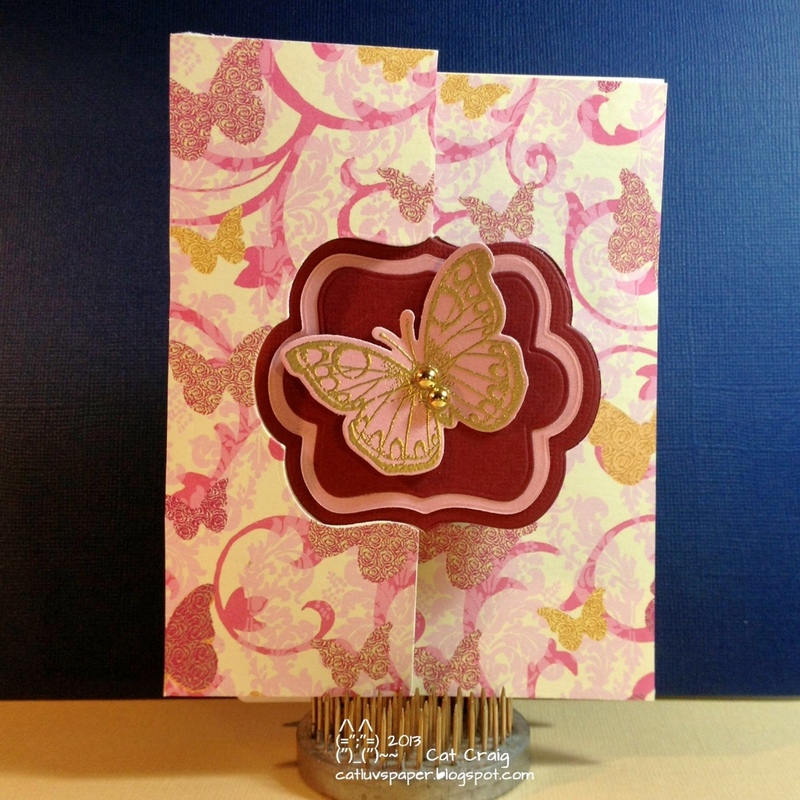 The center of the card is heat embossed on water color paper to create a resist pattern. I used Hero Arts stamps for both the resist and the sentiment. White embossing powder (mine is a bit off white) and then vellum over the front for the sentiment. 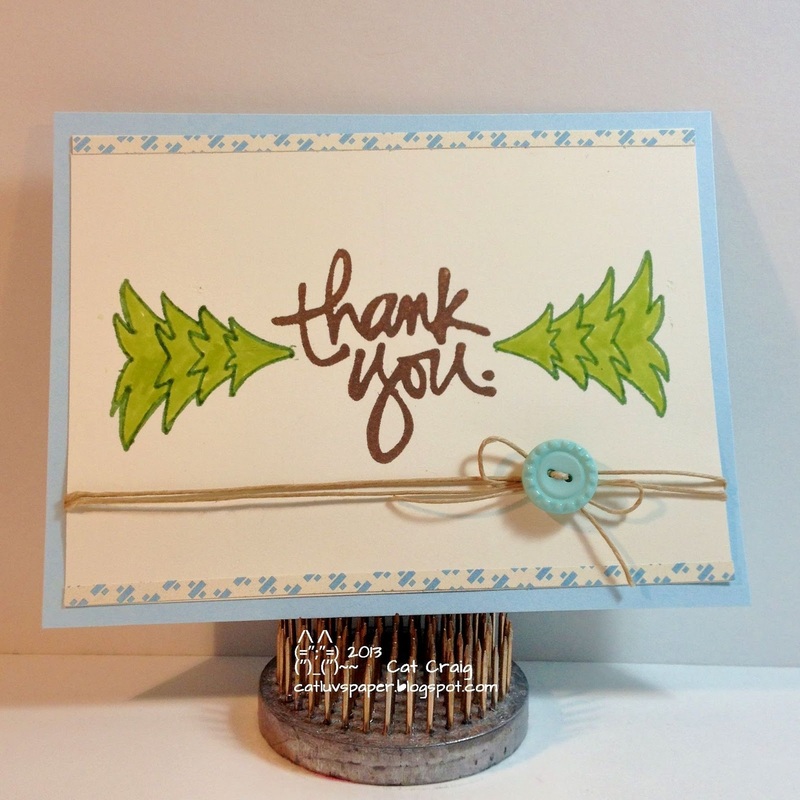 I added some dark green twine to the sentiment, I believe the training piece had natural colored twine. This was the second card I made today. I had to ease into the colors. Week 2 Day 2 - Embossing Techniques. 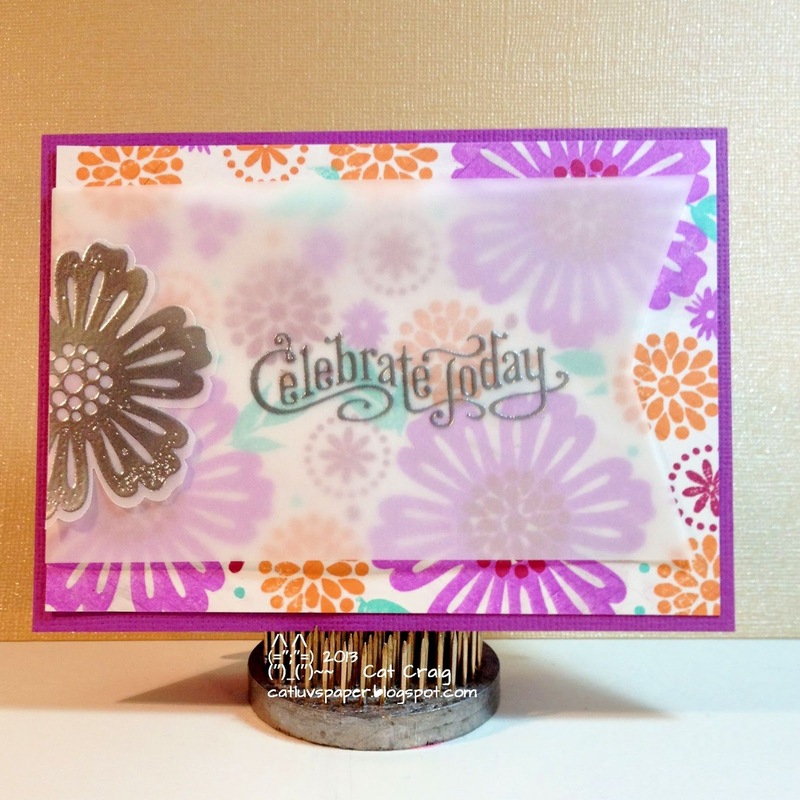 I decided to try the tone on tone clear embossing. 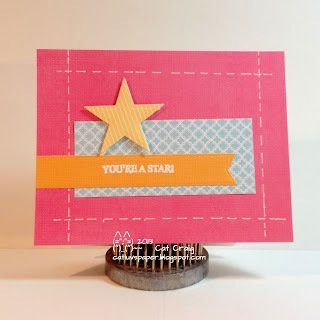 I used a stamp and die set from Simon Says Stamp. They are a bit hard to see but I have some swirls clear embossed on the cream cardstock. Green sequins were added for the flower centers. I made this card last, and it is by far my favorite of the three. The picture does no justice to how cute these flowers are with their shiny centers. Week 2 day 3 we were back to the sketches. I chose a very simple one. This is actually the card I made first to get into the swing of the colors. Papers are DCWV. Sentiment is from Hero Arts, flowers are Dress it Up Flats. 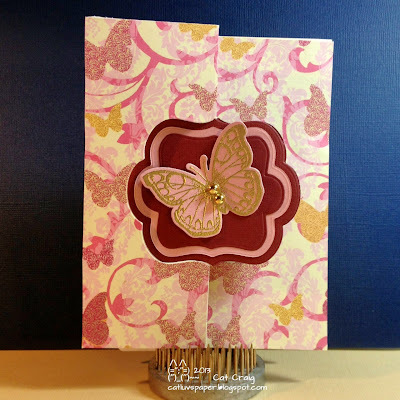 Day Five of Summer Card Camp II gave us 3 great card techiques and 6 new color combinations. 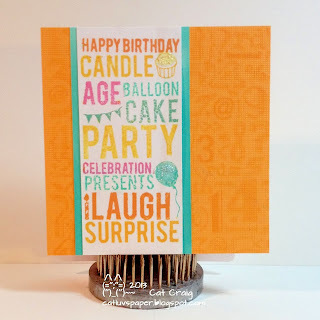 I made three cards today, using the same layout/designs as the class examples but different color combinations, stamps and sentiments. First off Jennifer McGuire made a lovely bright card over pencil marks, then muted the card with a double layer of sentiment embossed vellum. I chose a color combination that included orange, purple, white, mint, and raspberry. Right up my bright color loving alley. I have to admit this one is my favorite of the three. Inks were HA Shadow inks in Orange Soda, Neon Purple, Mint Julep, Raspberry Jam, also Versamark for embossing silver HA embossing powder. 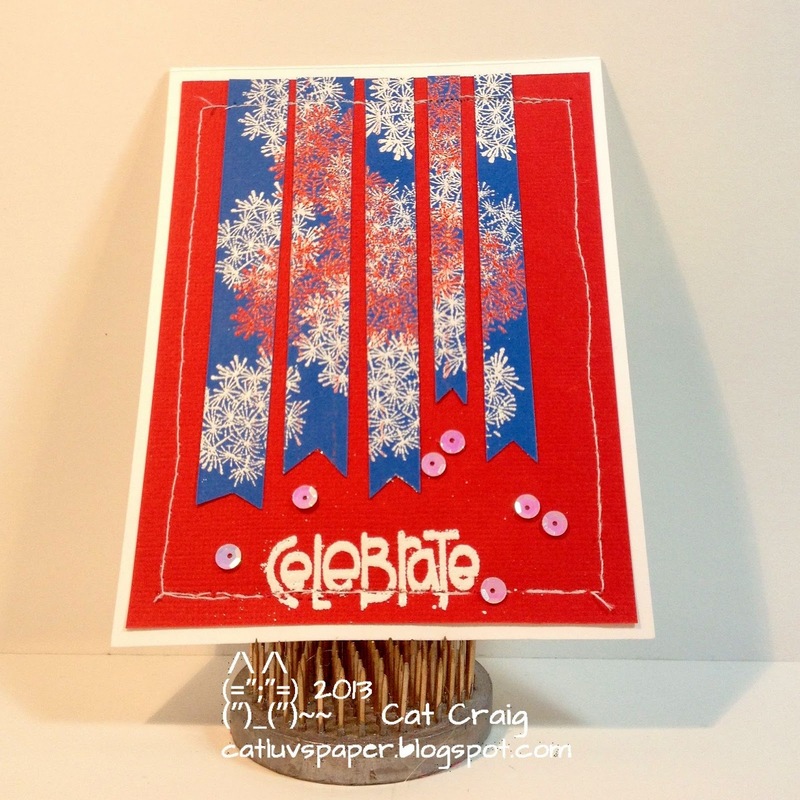 Stamps were Stampin Up Mixed Bunch, Perfectly Penned, WPlus9 Fresh Florals and AC Cardstock, JoAnn Vellum. 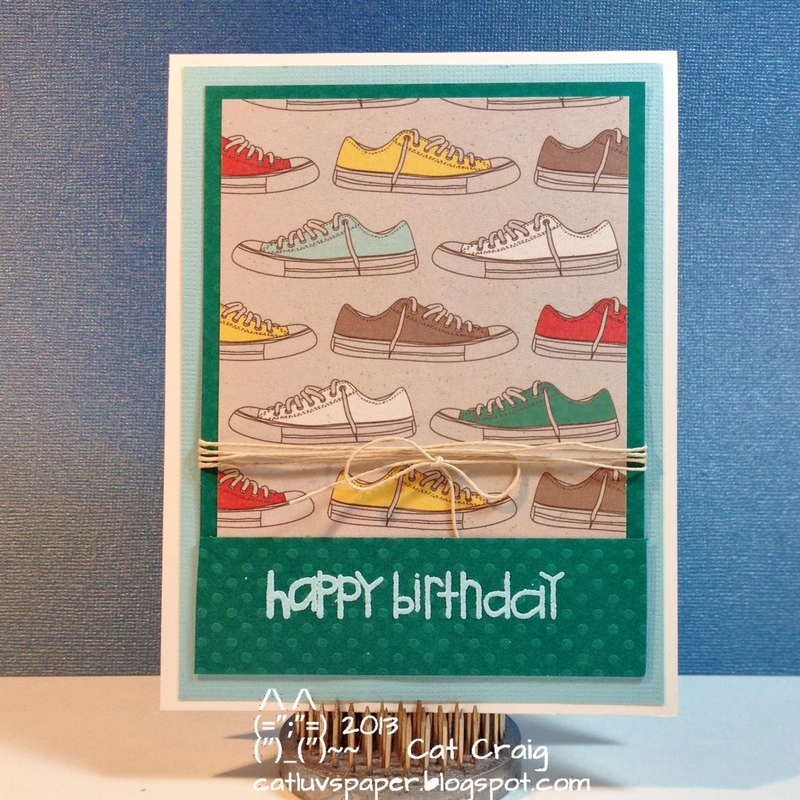 Next up was Kristina Werner's card. It is so totally cool. My execution did not reach her level of coolness. Hubs made fun of my flower calling it a misshapen orange. Lol. Kristina used a round circle opening, I tried it using a flower shape just for something different. There is a reason hers looks so good. I used the colors combos of dk blue, red, mint, purple, and white. The white base is embossed, as is the acetate panel. 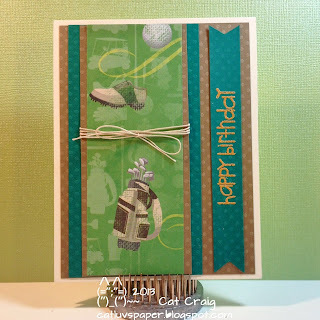 Stamps used are from WPlus9 Fresh Florals, Stampin UP Punch, Lifestyle crafts whimsey embossing folder, Cuttlebug swiss dots embossing folder, sew easy bakers twine, Stampin Up framelit, MS pearl, AC Cardstocks, White HA embossing, and versamark embossing ink. 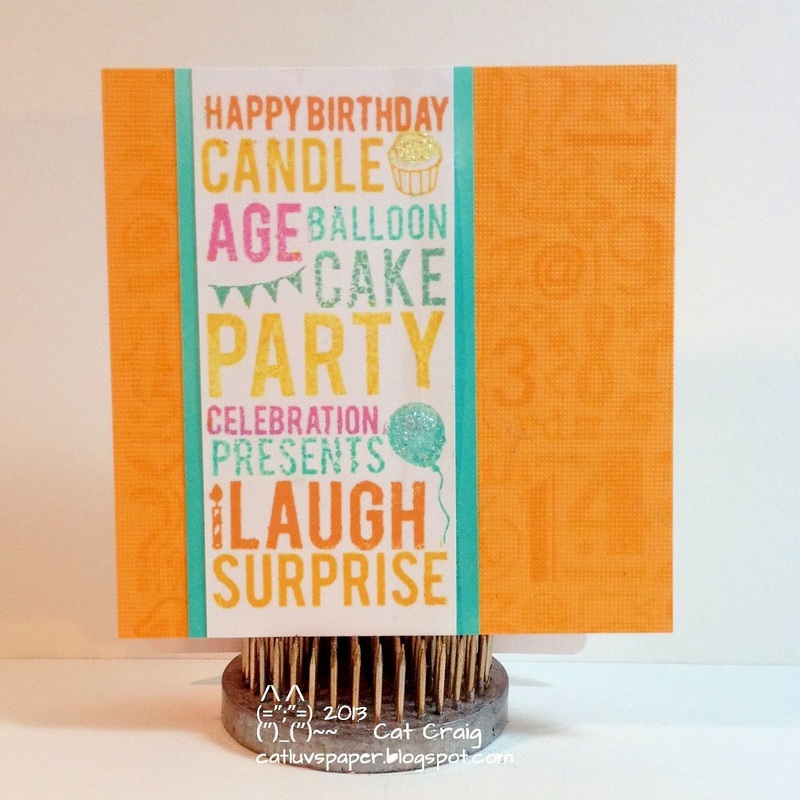 The last of the three was inspired by Cristina Kowalczyk's card. I used the color grouping including ivory, pink, light pool, peach, and gray. 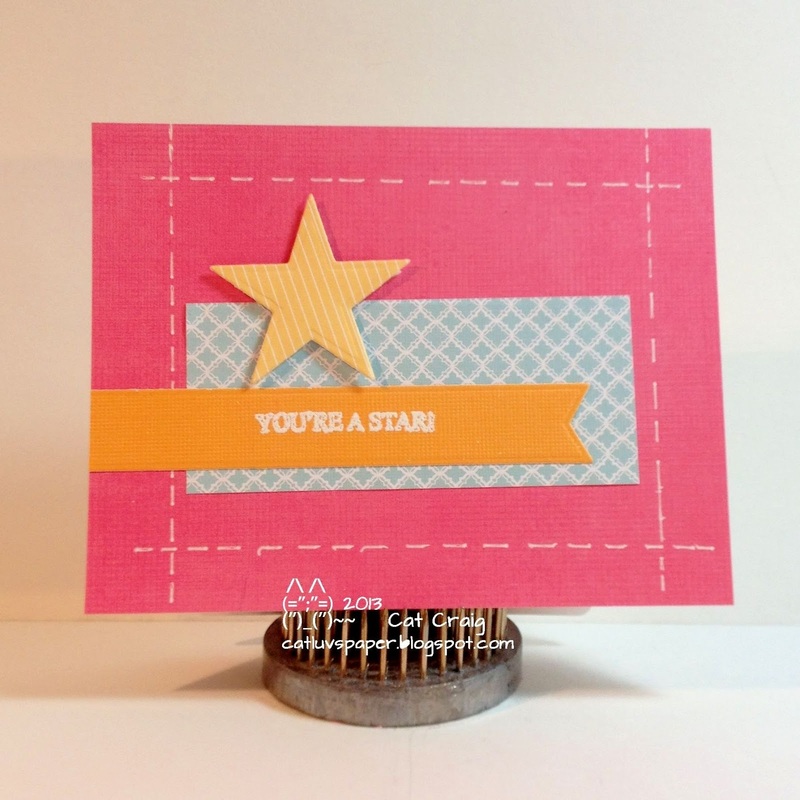 I had a Stampin Up set which had a border stamp that was a string of pennants. 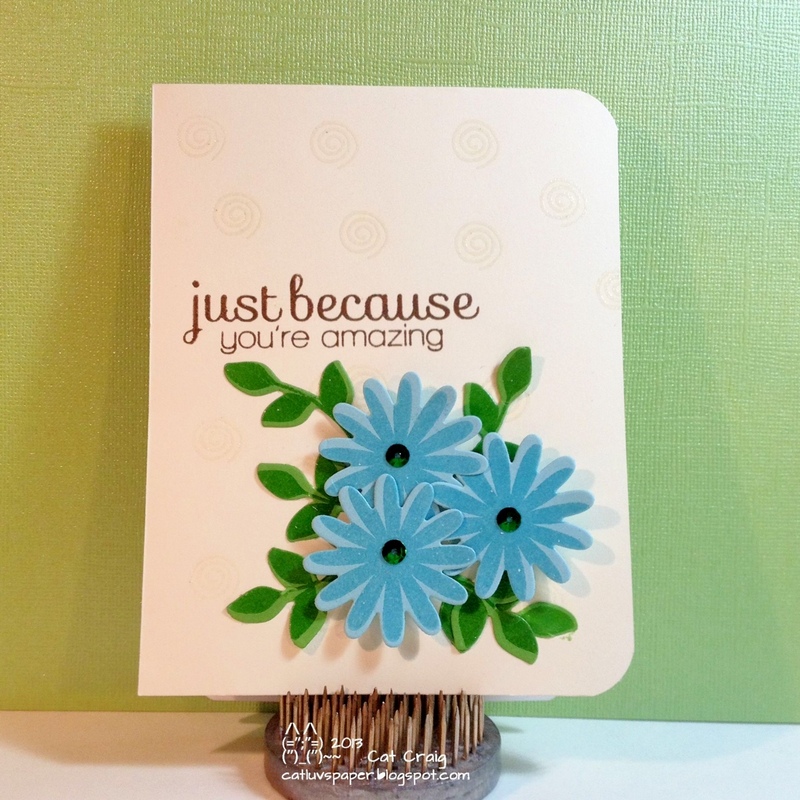 I stamped it using HA Charcoal, I masked off the sentiment to finish up the stamping. I matted the card on gray card because I like the border around the card. Our class card did not have the border. 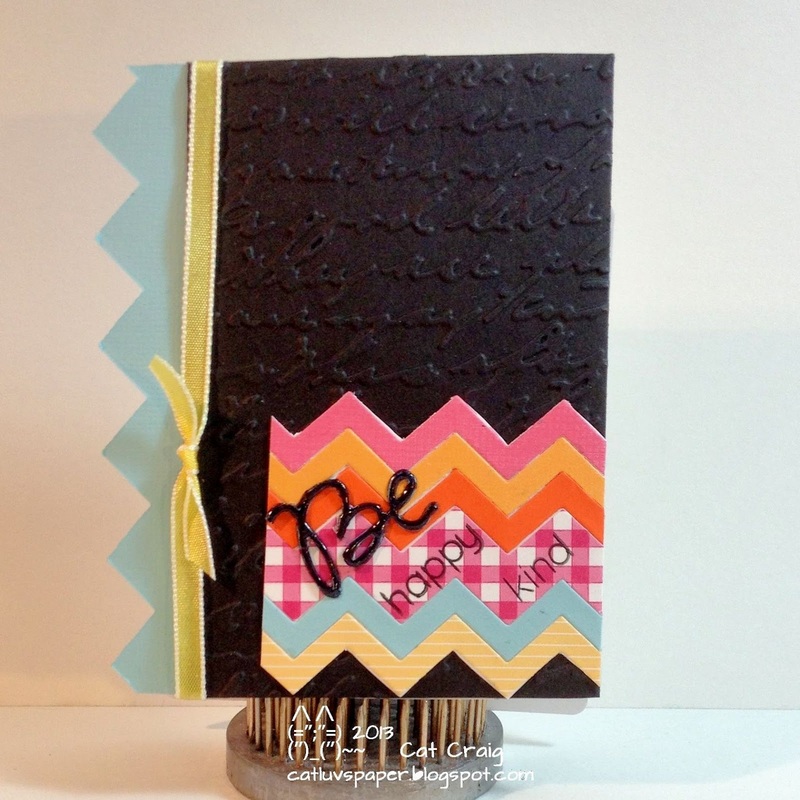 I used Stampin Up's Designer Typeset, Hero Arts Sentiment LP237, and Spectrum Noir markers in OR1, PP3, BT2. 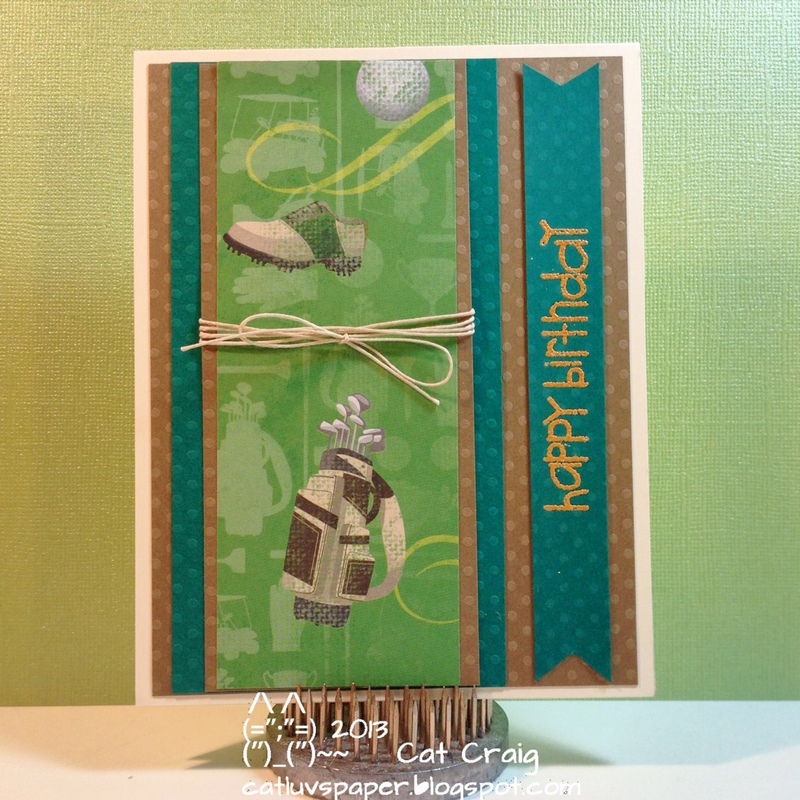 Papers AC Cardstock. Some unknown rhinestones that were separated from their packaging. I have decided I need a new exacto/craft knife after cutting out the spaces on this card...which ones do you use/favor? Suggestions please. Thanks for hanging through another longer post. Have a great week. Yes, it is a play on words...that is the number four, as in homework for each of the first four days of the new Online Card Class Summer Camp 2. I was lucky enough to win a seat in the class. Yea! I actually completed homework each day, but I wanted to post them in groups because the colors are all the same. We received a color grouping to work with and 3 sketches on Monday. 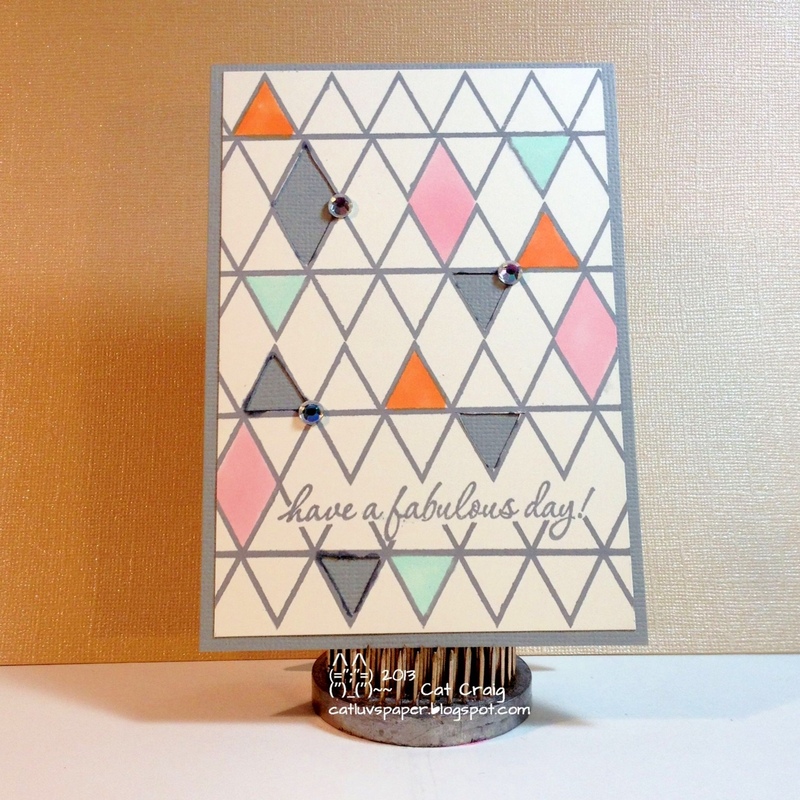 All 4 cards follow the color palette - White, Orange, Yellow, Pink, and Blue/Tealish colors. We were also allowed to add any neutrals - cream, black, grey, white and I suppose a metallic would be a neutral too. I also decided that I was going to only make card fronts...because I want to save them in my notebook after each day's lesson. I know too much time on my hands. I also am using nothing but scraps to make the cards other than the white bases. 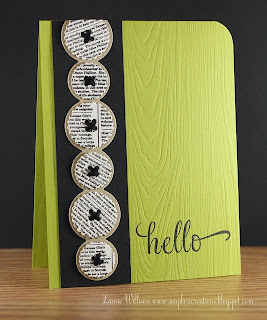 Stamps and Dies come from Simon Says Stamp, Lily of the Valley, Fresh Squeezed Stamps, and My Favorite Things. Day 2 - Technique. Jennifer showed a technique of masking a stamp to stamp in multiple colors. This was so hard for me. It could have been the size of my stamp that was making it harder. I did mutter a lot during this one. It may well be a LONG while before I tackle this style again. Day 3- Back to the sketches. 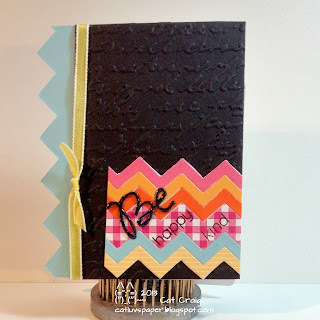 My "be" was originally cut in blue, but it was too light, so I tapped it on my pool ink pad to darken it. It did not show up well against the other colors...so I grabbed my sharpie and colored it black. Then it just seems so flat...not giving up I dumped some glossy accents onto it...and I loved it. There was something missing so I added the die scrap to the left edge to give it a bit of quirky-ness. Did it work? Day 4- today a 10 minute time challenge. Yikes. I have done these before and I have to say I much prefer to set a stopwatch style timer so you can see yourself get closer to 10 minutes. Today I put on the timer style that counts down. It made me much more anxious, and I didn't get a sentiment onto the card, but its cute so I think it can live without it. I will admit to using the back side of the embossed panel after I started gluing things too high on the front side. But no matter, I like the back side better! The secret to these 10 minute challenges, have your idea done, have all your supplies laid out. 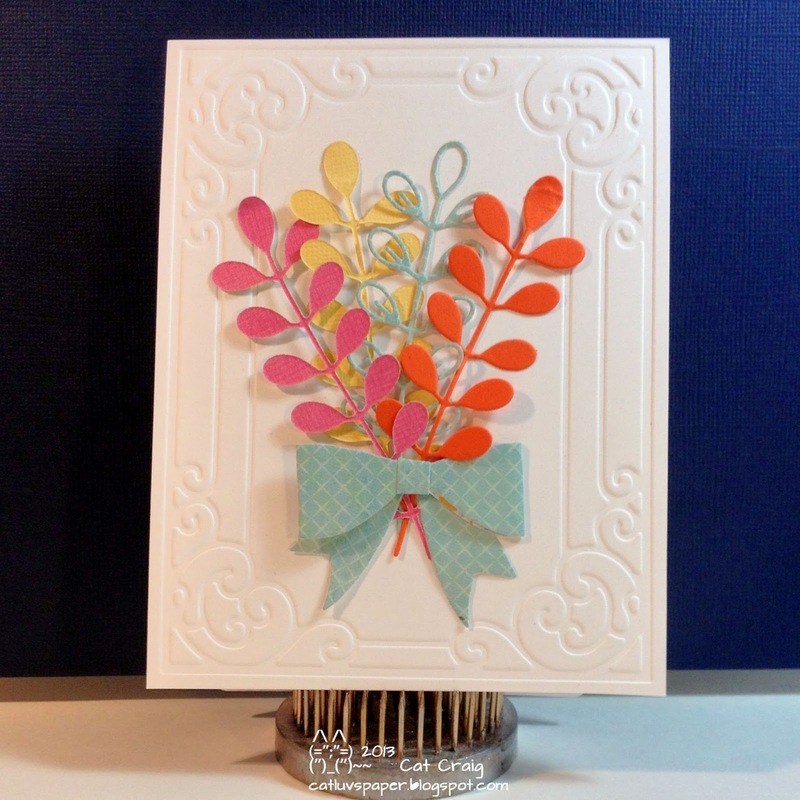 Kristina had said that die cutting really helps get elements onto your card fast. I ran 2-3 dies through at the same time and only needed to make 3 passes. A little over 5 minutes to die cut and emboss and just over 4 to glue, rip it up flip the panel over and glue again. I had 37 seconds left at the end. Thanks for taking a look and if you made it to the bottom, thanks for sticking with it! Have a great day. I so loved the colors in the Tuesday Trigger. I love tangerines...they the best thing about fall produce in my opinion! These colors yellow, green and orange are so smile generating. How can one not smile when faced with these fresh colors. The trigger is soft, and my card is the bold version of these colors. 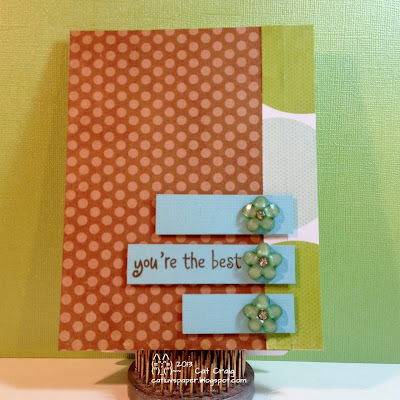 Some chevron die cuts, a three times inked up canvas stripe stamp, a green flower...because It just looked right, and a bold stamp from Fresh Squeezed Stamps. Maybe, their logo pulled at me for this trigger...lol. I was so very lucky as June turned to July, I won a seat to Online Card Classes Summer Camp II via comment on The Daily Marker Blog. Many heartfelt thanks to both Kathy and OCC. I am thrilled to be able to join in this class. It just wasn't in my crafting budget to pay for the class. Much to my surprise, I won a second seat the next day. I was quick to respond and request that that seat be redrawn so that someone else could also enjoy this class. I finally had some free time today, so I took a look at the site and worked on the two pre-class challenges. I've not had much mojo lately, I have been in a funk. My father called to let me know the family cat had disappeared. Ad's have been run, searches done, and shelters visited. No Onyx. Since I have no evidence to the contrary, I am going to believe with my heart that he's found a friend and is off on a great adventure. He is in his mid-twenties in cat years, so adventure time it is. The cat door remains open, should his adventures bring back. Bon Voyage, mon Chat! On to the cards. The first challenge was a color challenge, the colors are peachy, aqua, light grey, dark grey and white. We were to use at least 4 of the colors. I used scraps for the patterned papers, HA fresh peach ink for my card base edges, HA Thank you die,(-minus the Thank), fiskars small heart punch, and SSS you stamp set. The second pre class challenge was a sketch challenge. I followed it fairly closely, but used hexagons instead of circles. 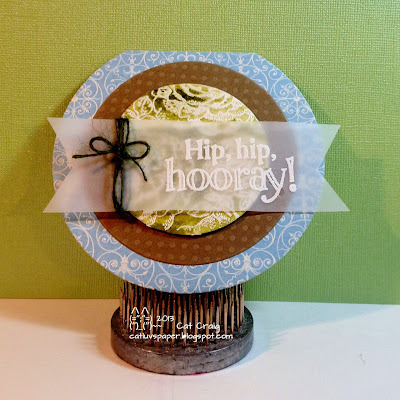 More paper scraps, HA Hexagon Stamps, Paper Smooches Sentiment, HA Inks, SU Embossing folder. I'll be posting more "homework" cards as the class progresses. Thanks for stopping by! I decided to use the newsprint as my card base and added yellow wood grain embossed paper to the side. I kept the rounded corner, and added 3 Hero Arts felt flowers (thank you Loly!) a nice bold sentiment in black and a bit of black trim for the panel. I added some gems to the flower centers just for a bit of bling. 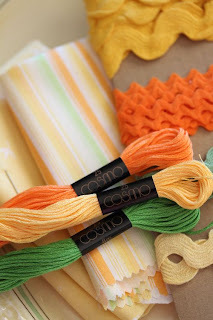 Here is a quick post, faster than the time it took to figure out how to sew on cardstock on my tiny little sewing machine! I am joining in the Shopping Our Stash Challenge #108, simply use RED, WHITE, and BlUE, or your flag colors. I am a USA gal, and the good ole red white and blue it is. I have noting remotely 4th of July related...so the Hero Arts Dandelion stamp will have to do for firework's bursts. They were heat embossed in white and red on blue card. I cut them into strips and notched the ends laying them out with spaces between. The sentiment is from Paper smooches, and those sequins are actually white...not sure where the pink reflection is coming from. I sewed the panel to the card base...a first. For those of you celebrating America's Independence, have a wonderful and hopefully long weekend. Hi I haven't had much mojo lately, but my Godson and Nephew both have birthdays on the same day, so I had to get out of my funk and get cards made and into the mail. Both are young men, in their late teen early twenties period, I have no clue what to do on a card. I turned to patterned papers to help. The golf themed is for my Godson, the Chucks are for our Nephew. 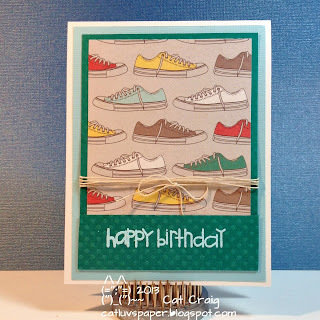 Both use Stampin Up paper for the card bases (Whisper White, Very Vanilla), Unknown Twine, Paper Smooches Sentiment, Bazzill Dotted Swiss papers, the golf paper is Karen Foster Design, the chucks are New Shoes by Fancy Pants Design, Embossing powders by Stampendous, and versamark ink. Saturday I participated in Bethany's scramble over at the Hero Arts Flickr group. Its 90 minutes to plan, execute and upload a photograph of your card. We were given 5 extra minutes, because the theme was color. Bethany created a pinterest board of summer colors she liked. We were to pick one combination to make our cards...and use at least 4 of the colors in the grouping. I started this card with a Hero Arts card base, and some white paper. 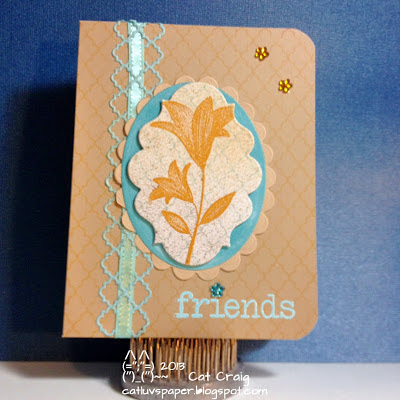 I stamped the lattice background in butter bar ink on the card base. Then I stamped it on the white card in soft pool. I added smooch spritz in spun sugar and log cabin. 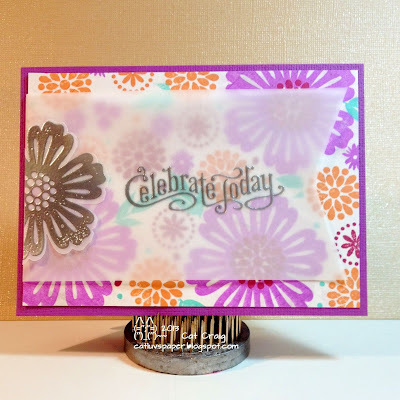 I then used versamark ink and heat embossed the etched flower with stem from hero arts, embossing powder is from Stampendous. Then I cut that image out with a spellbinder die. I also die cut two pieces from some blue recollections paper, one with a memory box die, the other oval with spellbinders. The oval needed to be darker so I swiped the soft pool ink pad over it. Another die was cut from a light brown piece of recollections card stock. I took a piece of Inland Indigo ribbon from Stampin Up and wove it through the lattice die cut. The sentiment is also hero arts, and was heat embossed with Stampendous ep. Then I assembled the card laying down the lattice strip first, the the centerpiece. I laid them flat except for the image section. I used 1/16th inch foam to pop it up just a bit. lastly I added the three gem flowers from colorbok. 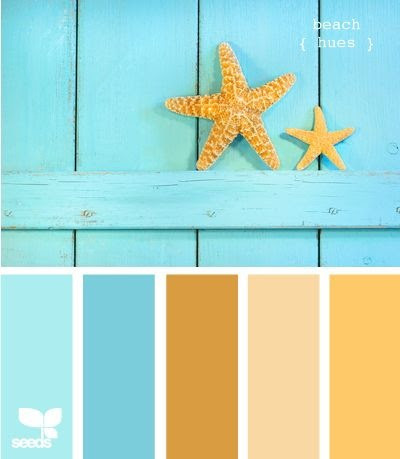 Below is the color board I chose, all but the peachy shade is in my card.